Internet cat videos, move over. Goats have arrived. 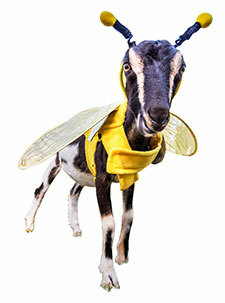 Around the world, online and off, the inherently funny antics of goats are having their day. 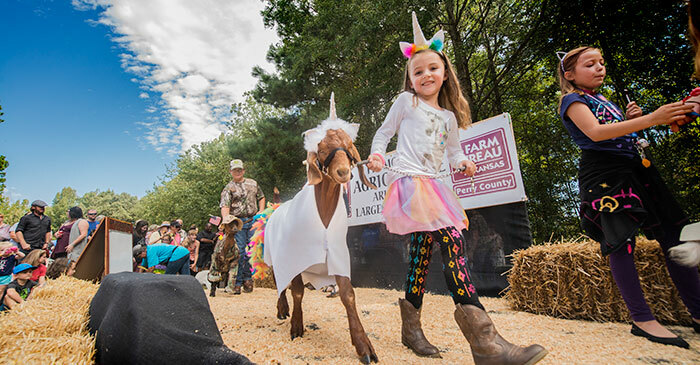 In Arkansas, they literally have a day — this year, Oct. 6 — when the 3rd Annual Arkansas Goat Festival in Perryville puts on a show you have to see to believe. Festival founder Sarah French said the idea for the festival came to her three years ago, born from her deep desire to put on a costume contest and parade for goats. “That was my big dream, seeing goats parade in funny costumes,” she said. French, who serves as CEO of the festival, said that in 2016 she and a friend were talking about ways to draw tourists to Perryville, including some ideas for the town’s “Saturdays on the Square.” French suggested that a goat costume contest and parade would be fun. Then, the brainstorming began. What about some goat milk soap for sale? How about goat ice cream? “At one point, I said, ‘We could just have a whole goat festival.’ And as soon as that came out of my mouth I knew, ‘Well, that has to happen,’” French said. The 2017 festival continued to grow. French said they had expected 2,000 people, and they had 4,000 attend. This year, she said they’re hoping for 5,000 people (plus, of course, dozens of goats). Excitement and word-of-mouth about the one-day festival have continued to grow, especially via social media, so the town is getting goat-ready. What does a goat festival look like? 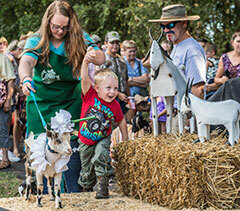 The 2018 festival includes the costume contest for goats, the goat parade, goat races, a goat game show and a goatee contest for men. New to the pageantry this year is a talent showcase, “America’s Goat Talent.” French said the talent has to be goat-themed, but does not necessarily have to include a goat. “We’re looking forward to seeing what people come up with for that,” she said. 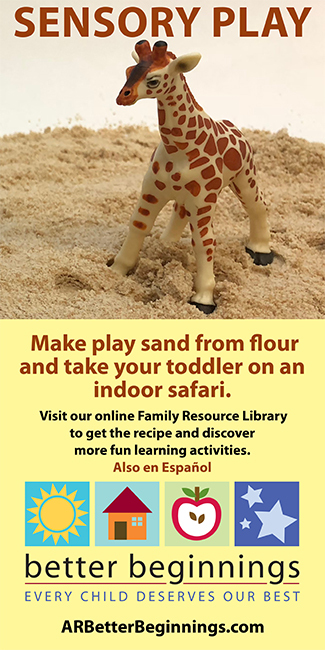 The festival is fun for all ages, but especially kids. Another big draw that ties into something of a national craze: goat yoga. Yes, this is a real thing people do. Goat yoga is just yoga with goats present, French said. While people are on their mats doing their poses, goats wander around being goat-like. “They might climb on top of you or walk under you, or nuzzle your face. They make you laugh, which is of course, also a great exercise for your core muscles,” French said. The goat yoga, like everything else at the festival, takes place in the large, open city park. Bring your goat to the Arkansas Goat Festival for a free thank you gift. Show up dressed as a goat or wearing goats on your clothes to be eligible for door prizes. All attendees with goats receive a thank-you gift, and while not required, pre-registered goats are eligible for even more prizes. 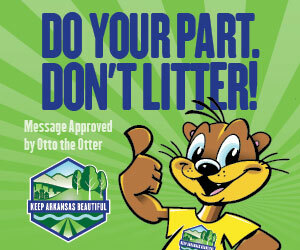 See arkansasgoatfestival.com for full rules, schedule and goat registration. Seeing her little dream fulfilled has become a springboard for an even bigger one, French said. The county has embraced several goat-friendly policies. Perryville has the only designated municipal goat park in the U.S., a city park where goats can roam and graze freely, and the community is now seeking funding for goat murals. There’s even a goat-friendly bed & breakfast listed on the festival website.